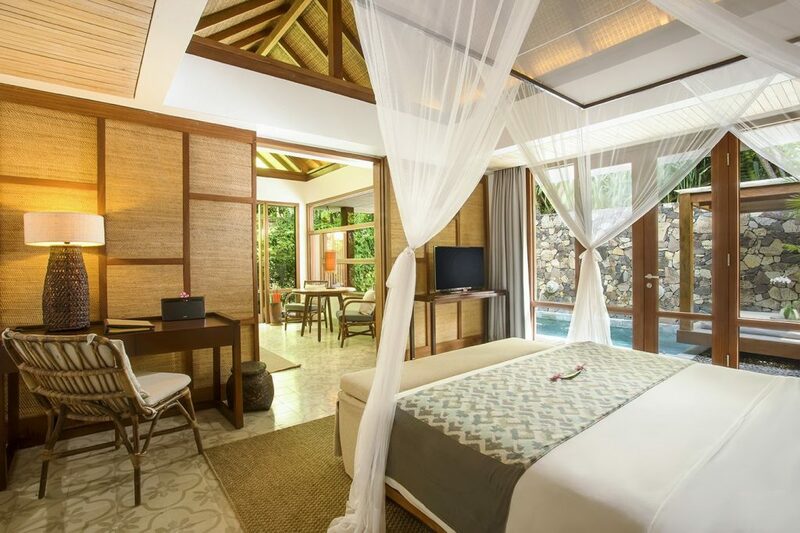 Elegantly designed for total privacy and comfort, the Santai Pool Villa is located in a nearly 200 m2 fully private stone walled garden. 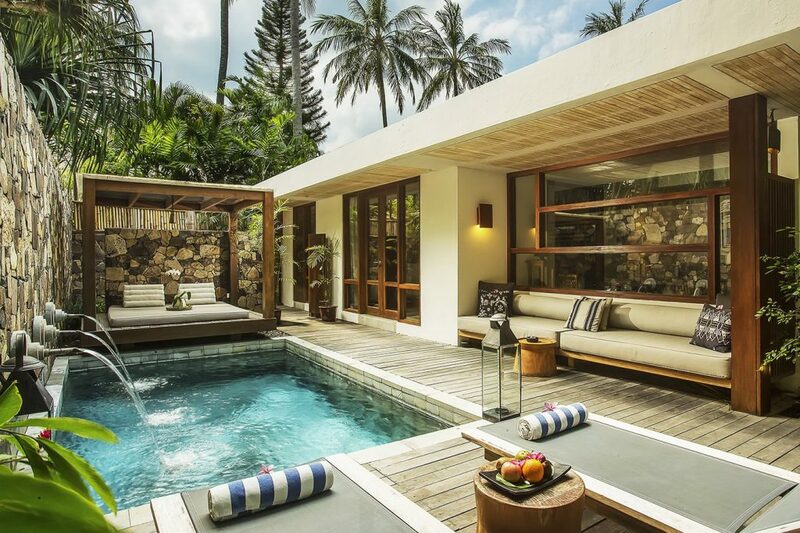 Enjoy basking under the sun on your private sundeck lounge by the 4.5 x 3 meter plunge pool or dine under the stars in your private garden. 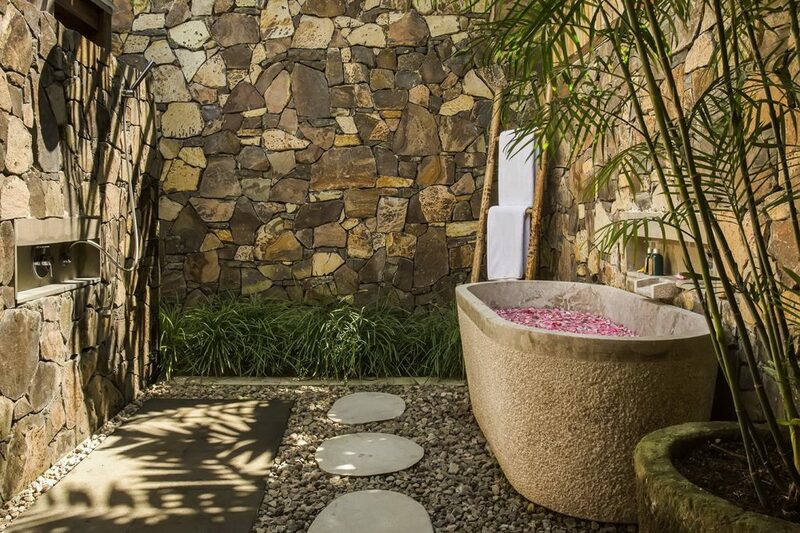 Bathe in the open air in your outdoor shower or relax in the marbled stone bathtub. 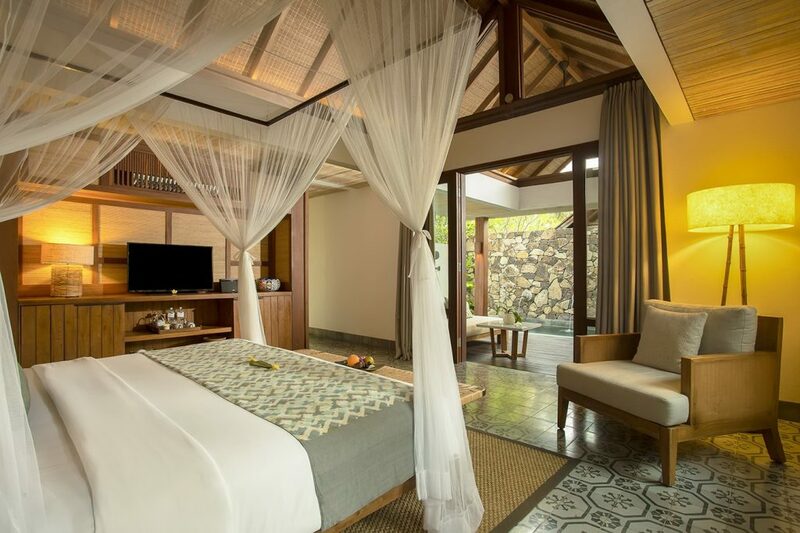 The Santai Pool Villas are private, and yet open and airy with extra-large daybeds on the extended covered terrace and a large deck area for relaxation under the sun. 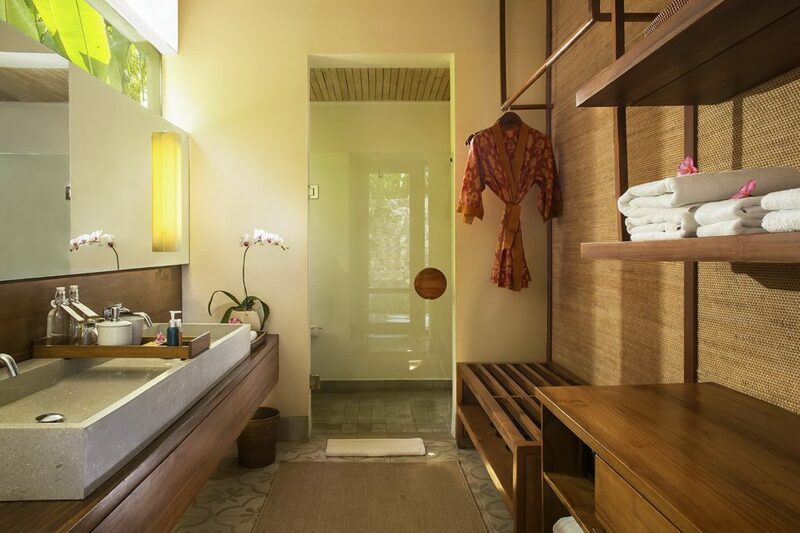 A luxurious four-poster king-size bed with finest quality linens, as well as both an indoor and outdoor shower in an enclosed bathroom garden, are amongst the amenities. 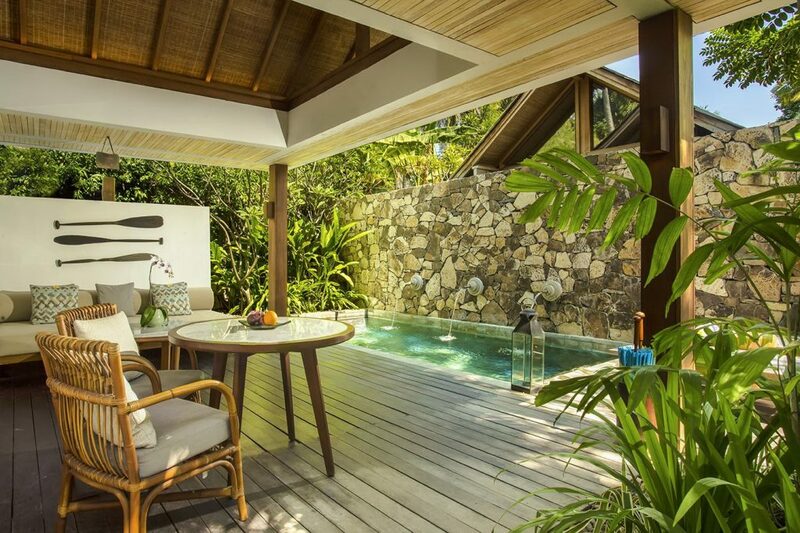 The Santai Pool Villa has a private outdoor dining table and is equipped with aflat screen television, coffee and tea making facilities, mini-refrigerator, safe and bespoke Jeeva personal amenities. 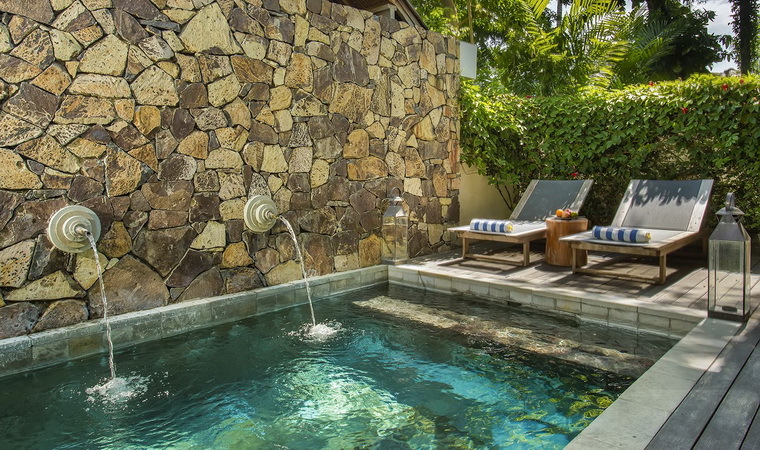 Our pool villas are the perfect environment for total tranquility. 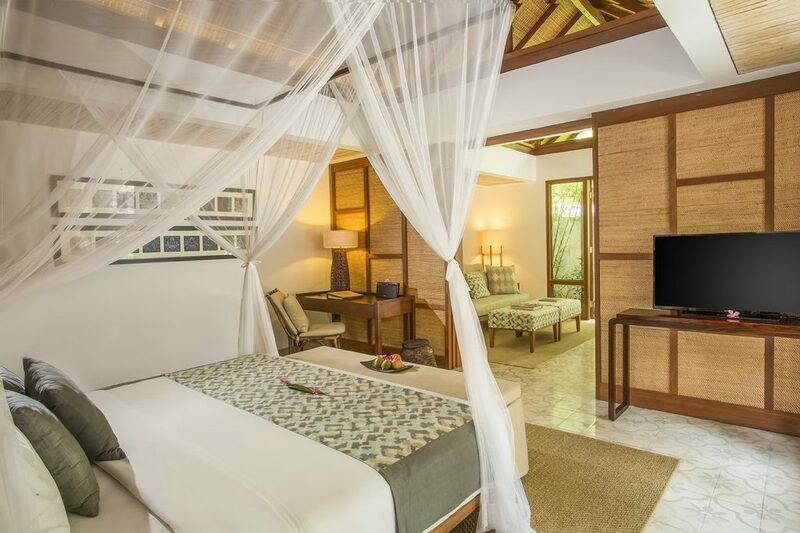 Our signature suite, the Santai Deluxe Pool Villa has all the amenities of the Pool Villa plus a personal balai for relaxing by the pool or for intimate dining. 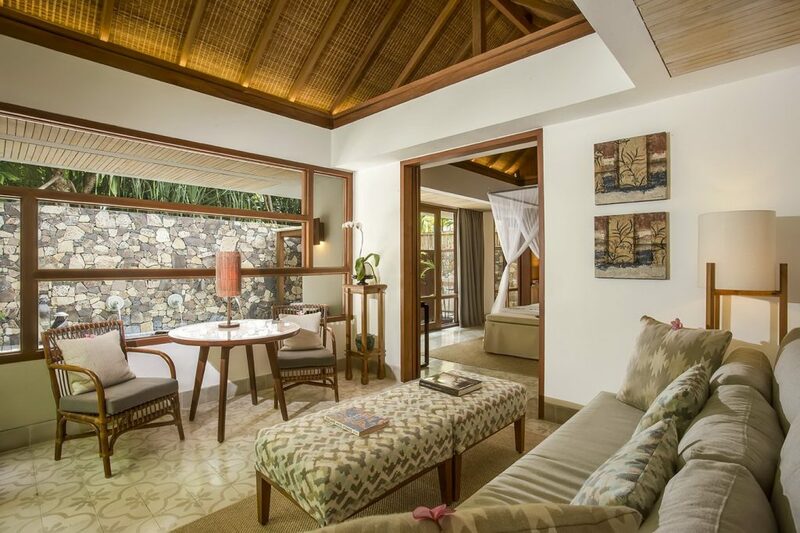 The separate sitting room is furnished with a dining table and an oversized sofa to allow our guests to truly enjoy a home away from home.